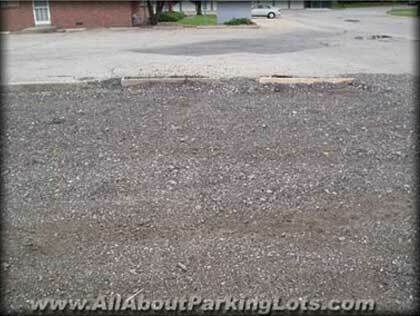 Is A Gravel Parking Lot The Right Choice For Your Commercial Property? Looking for parking lot ideas or considering a new parking lot, but the costs for asphalt, concrete or pavers are not within your current budget? 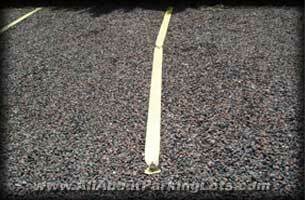 A gravel, recycled asphalt or crushed granite parking lot may be a great short term solution! A gravel parking lot can be an excellent temporary, or in some cases, permanent solution for a commercial building… especially, if it’s installed with detailed sub-grade preparation, drainage planning and engineering in mind. A parking lot is only as good as the investment into the sub-grade beneath it. The better the sub-grade, the longer the parking lot will last. If the plan is to install a gravel parking lot with the idea of installing an asphalt, concrete or paver parking lot in the future, it’s best to invest the time and money into planning and engineering now rather than doing it along with the installation of the asphalt, concrete or pavers. It will be more durable, require less repairs during the time it’s used and you’ll save time and money when it comes time for the installation of the final parking lot. In this case, all the contractor has to do is scrape the gravel, touch up the sub-grade and install the asphalt, concrete or brick pavers rather than remove the old gravel parking lot and start over fresh. If the parking lot is not subject to city and county specifications, it can probably be installed without engineering but you’ll still need a good water drainage plan. A parking lot can shed large amounts of water and that water must be managed and directed to areas where it will keep from flooding neighbors, streets and buildings. In this case, hiring a reputable contractor is critical to avoid future problems. If the plan is to install a gravel parking lot with the plans of installing a permeable paver parking lot in the future, then you may run into the expense of removing the gravel parking lot when the time comes to install the permeable paver parking lot since permeable paving requires much different drainage planning and engineering. Is the gravel parking lot permanent or temporary? Are there plans to install a permanent hard surface like asphalt, concrete or brick pavers in the future? Are there plans to install permeable pavers in the future? If you already have a gravel parking lot and it’s beginning to show the signs of aging and exceptional deterioration, or has a tremendous amount of potholes and repairs and looks patchy, blotchy and uninviting, starting from scratch, excavating and re installing a strong sub-grade is the best solution to avoid constant pothole chasing year after year after year. In most cases, this can also be done without engineering and planning, but absolutely should be performed by a reputable grading contractor who will do it right the first time. All parking lots age and deteriorate beyond repair at some point. The goal with any parking lot should be to maximize the life expectancy as much as possible before having to completely remove and replace it. 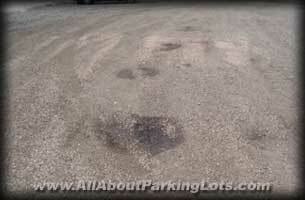 Types of ongoing maintenance you can expect to perform on a gravel parking lot? 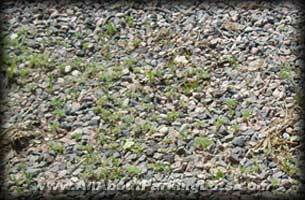 Also, take into consideration the effects of a gravel parking lot if it’s not maintained properly or how it can look as it ages. 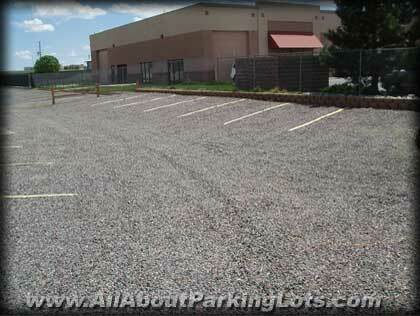 Gravel parking lots can be an inexpensive solution for commercial properties. 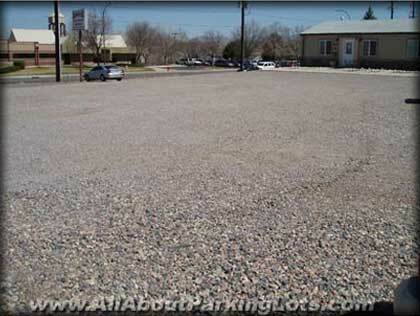 They provide a semi hard and durable surface which is much less expensive than hard surface parking lots. If you’re considering having a new gravel parking lot installed, an existing one completely removed and replaced, see our Gravel Parking Lot Installation FAQ’s section for more information to ensure yourself a good, quality, and long lasting job. You can also learn more about ongoing maintenance of a gravel parking lot by visiting our Gravel Parking Lot Maintenance FAQ’s section. 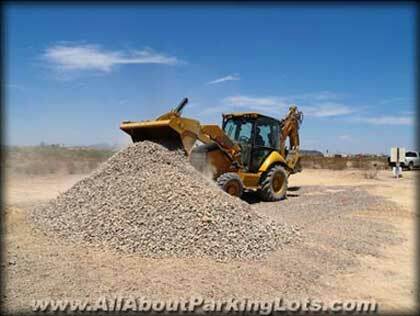 Before you hire a contractor to install or perform maintenance on your gravel parking lot, be sure and review our video and eBook series, "The Most Common Ways Grading Contractors Rip Us Off And How To Avoid Them" TM You’ll learn everything you need to know in order to hire a reputable contractor and get the job done right the first time! Or make it easy on yourself and save time, money and future headaches by hiring one of our pre-screened and background checked gravel/grading contractors to install, remove and replace or perform maintenance services on your gravel parking lot. 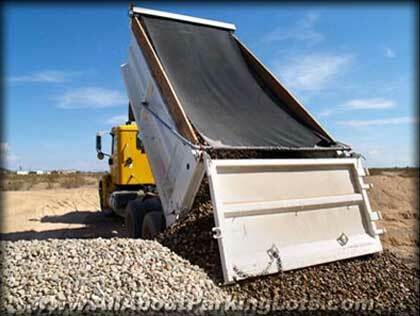 Learn more or request an estimate from one of our Trusted Gravel-Grading Contractors in your local area!